John 14:11 Believe me that I am in the Father, and the Father in me: or else believe me for the very works’ sake.12 Verily, verily, I say unto you, He that believeth on me, the works that I do shall he do also; and greater works than these shall he do; because I go unto my Father. We are created to seek God and find him (Acts 17), but it also appears as though we can be even more influenced to do so by witnessing or experiencing the works of Jesus (or any Christian who uses this gift), such as healing and miracles. However, being healed will not automatically produce a change of mind and a decision to start following Jesus. 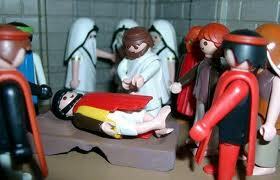 The story of the ten lepers in Luke 17:11-19 shows this very clearly. For one of the lepers being healed also caused him to give glory to God and seek the advice of Jesus, but the others did not take this chance but went on with their current lives. 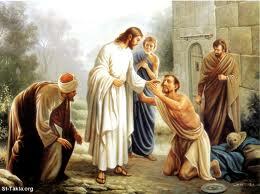 In just about all other healing stories in the Bible the miracles caused a huge difference in people’s spiritual lives. Probably because those who seek to be healed by Jesus are also dispositioned to follow him because they believe he is divine, has all the power to heal the sick and will be the great Judge in the end of days. Hebr. 11:6 But without faith it is impossible to please him: for he that cometh to God must believe that he is, and that he is a rewarder of them that diligently seek him. Acts 14:8 And there sat a certain man at Lystra, impotent in his feet, being a cripple from his mother’s womb, who never had walked:9 The same heard Paul speak: who stedfastly beholding him, and perceiving that he had faith to be healed,10 Said with a loud voice, Stand upright on thy feet. And he leaped and walked. Matt. 8:13 And Jesus said unto the centurion, Go thy way; and as thou hast believed, so be it done unto thee. 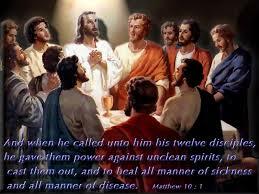 And his servant was healed in the selfsame hour. Mark. 6:5 And he could there do no mighty work, save that he laid his hands upon a few sick folk, and healed them.6 And he marvelled because of their unbelief. And he went round about the villages, teaching. John 11:40 Jesus saith unto her, Said I not unto thee, that, if thou wouldest believe, thou shouldest see the glory of God?-–45 Then many of the Jews which came to Mary, and had seen the things which Jesus did, believed on him. John 20:24 But Thomas, one of the twelve, called Didymus, was not with them when Jesus came.25 The other disciples therefore said unto him, We have seen the Lord. But he said unto them, Except I shall see in his hands the print of the nails, and put my finger into the print of the nails, and thrust my hand into his side, I will not believe.26 And after eight days again his disciples were within, and Thomas with them: then came Jesus, the doors being shut, and stood in the midst, and said, Peace be unto you.27 Then saith he to Thomas, Reach hither thy finger, and behold my hands; and reach hither thy hand, and thrust it into my side: and be not faithless, but believing.28 And Thomas answered and said unto him, My Lord and my God.29 Jesus saith unto him, Thomas, because thou hast seen me, thou hast believed: blessed are they that have not seen, and yet have believed.30 And many other signs truly did Jesus in the presence of his disciples, which are not written in this book:31 But these are written, that ye might believe that Jesus is the Christ, the Son of God; and that believing ye might have life through his name. Below we can clearly see Jesus upbraiding cities due to the lack of faith within them. Mighty works were done in them, and people still did not believe! Jesus makes a comparison with Tyre and Sidon, because if such mighty works would have been done in their cities, they would have repented long ago. True repentance leads to life. Miracles such as casting out demons, and healing the sick, can therefore be very important tools to reach the lost. Not just regarding the temporary physical blessings here on earth, but for people’s eternal future – which is way more important. Matt. 11:20 Then began he to upbraid the cities wherein most of his mighty works were done, because they repented not:21 Woe unto thee, Chorazin! woe unto thee, Bethsaida! for if the mighty works, which were done in you, had been done in Tyre and Sidon, they would have repented long ago in sackcloth and ashes.22 But I say unto you, It shall be more tolerable for Tyre and Sidon at the day of judgment, than for you.23 And thou, Capernaum, which art exalted unto heaven, shalt be brought down to hell: for if the mighty works, which have been done in thee, had been done in Sodom, it would have remained until this day.24 But I say unto you, That it shall be more tolerable for the land of Sodom in the day of judgment, than for thee. People near Jesus realized that it is not likely that a devil would open the eyes of the blind. At least this is nothing that they had experienced before, and they started to believe that Jesus was truly divine. Also Jesus confirmed that the works that he performs in his Father’s name also bear witness of him. Due to the skeptics’ choice to doubt Jesus, they did not qualify to be his sheep. Because, who are the sheep of Jesus? They are the ones who choose to FOLLOW him according to John 10:27. Jesus explained that people had the chance here to believe in Jesus precisely due to the miraculous works he made – in combination with prophesies and the good fruit he displayed. Despite that the Jewish Torah should have made it clear for the Jews that Jesus is the one that the Scriptures talk about, and despite that John the Baptist spoke about Jesus as divine, the Jews still looked for reasons to not believe. John 10:21 Others said, These are not the words of him that hath a devil. Can a devil open the eyes of the blind?—24 Then came the Jews round about him, and said unto him, How long dost thou make us to doubt? If thou be the Christ, tell us plainly.25 Jesus answered them, I told you, and ye believed not: the works that I do in my Father’s name, they bear witness of me.26 But ye believe not, because ye are not of my sheep, as I said unto you.27 My sheep hear my voice, and I know them, and they follow me:—37 If I do not the works of my Father, believe me not.38 But if I do, though ye believe not me, BELIEVE THE WORKS: that ye may know, and BELIEVE, that the Father is in me, and I in him.—41 And many resorted unto him, and said, John did no miracle: but all things that John spake of this man were true.42 And many believed on him there. Below are some more examples of where Jesus miracles caused people to believe that he is the one he has always claimed to be – being one with his Father, the son of God, God in flesh, etc. On the one hand Jesus definitely expects people to believe in him due to combination of the many prophesies being fulfilled in him, due to the good fruit he displays and due to the many miracles he performs (casting out demons, healing the sick, etc) thanks to power from above. On the other hand Jesus dislikes when people approach him with total lack of faith and place the burden of proof on him – or else he has failed to win them over. Our attitude should not be ”I give you a chance right here and right now to show me signs so that I can believe. If not, you have failed to persuade me which means you lost and I won”. We are the ones who can gain by coming to Jesus in faith. The fact that the Bible tells us about many people who started to believe when they witnessed the miracles performed by Jesus and his apostles, is of course evidence for that people were not predestined to be elect and non-elect from the foundation of the world. John 7:31 And many of the people believed on him, and said, When Christ cometh, will he do more miracles than these which this man hath done? John 1:47 Jesus saw Nathanael coming to him, and saith of him, Behold an Israelite indeed, in whom is no guile!48 Nathanael saith unto him, Whence knowest thou me? Jesus answered and said unto him, Before that Philip called thee, when thou wast under the fig tree, I saw thee.49 Nathanael answered and saith unto him, Rabbi, thou art the Son of God; thou art the King of Israel.50 Jesus answered and said unto him, Because I said unto thee, I saw thee under the fig tree, believest thou? thou shalt see greater things than these. John 4:46 So Jesus came again into Cana of Galilee, where he made the water wine. And there was a certain nobleman, whose son was sick at Capernaum.47 When he heard that Jesus was come out of Judaea into Galilee, he went unto him, and besought him that he would come down, and heal his son: for he was at the point of death.48 Then said Jesus unto him, Except ye see signs and wonders, ye will not believe.49 The nobleman saith unto him, Sir, come down ere my child die.50 Jesus saith unto him, Go thy way; thy son liveth. And the man believed the word that Jesus had spoken unto him, and he went his way.51 And as he was now going down, his servants met him, and told him, saying, Thy son liveth. John 6:30 They said therefore unto him, What sign shewest thou then, that we may see, and believe thee? what dost thou work?31 Our fathers did eat manna in the desert; as it is written, He gave them bread from heaven to eat.32 Then Jesus said unto them, Verily, verily, I say unto you, Moses gave you not that bread from heaven; but my Father giveth you the true bread from heaven.33 For the bread of God is he which cometh down from heaven, and giveth life unto the world.34 Then said they unto him, Lord, evermore give us this bread.35 And Jesus said unto them, I am the bread of life: he that cometh to me shall never hunger; and he that believeth on me shall never thirst. Acts 13:8 But Elymas the sorcerer (for so is his name by interpretation) withstood them, seeking to turn away the deputy from the faith.9 Then Saul, (who also is called Paul,) filled with the Holy Ghost, set his eyes on him.10 And said, O full of all subtilty and all mischief, thou child of the devil, thou enemy of all righteousness, wilt thou not cease to pervert the right ways of the Lord?11 And now, behold, the hand of the Lord is upon thee, and thou shalt be blind, not seeing the sun for a season. And immediately there fell on him a mist and a darkness; and he went about seeking some to lead him by the hand.12 Then the deputy, WHEN he saw what was done, BELIEVED, being astonished at the doctrine of the Lord. We are asked to continue on Jesus path. Casting out demons and healing the sick are still helpful tools to us. Below James is talking about the church settings, but we are also asked to go out in the world to evangalize to the lost and in such circumstances it is possible to perform the great works that Jesus has promised we would be able to do in his name. Ja. 5:14 Is any sick among you? let him call for the elders of the church; and let them pray over him, anointing him with oil in the name of the Lord 15 And the prayer of faith shall save the sick, and the Lord shall raise him up; and if he have committed sins, they shall be forgiven him.16 Confess your faults one to another, and pray one for another, that ye may be healed. The effectual fervent prayer of a righteous man availeth much. Mark. 16:15 And he said unto them, Go ye into all the world, and preach the gospel to every creature.16 He that believeth and is baptized shall be saved; but he that believeth not shall be damned.17 And these signs shall follow them that believe; In my name shall they cast out devils; they shall speak with new tongues;18 They shall take up serpents; and if they drink any deadly thing, it shall not hurt them; they shall lay hands on the sick, and they shall recover. If such miracles and possibilities are supposed to have ceased after the time of the apostles, the word of God certainly forgot to mention it. Instead Christians all over the world have accepted the wonderful promises tied to believers and as a consequence people have been set free from demons and have become healed. A good preacher will encourage Christians to make use of the spiritual gifts which are for today. Praise you Lord! 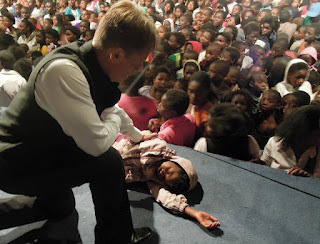 Here you can read about speaking in tongues. ”Apostle” comes from the greek word ”apostolos” (Strong’s 652) and means one that is sent forth (with orders or a mission), like a messenger. The very first apostles were the same as Jesus first disciples. Matt. 10:2 Now the names of the twelve apostles are these; The first, Simon, who is called Peter, and Andrew his brother; James the son of Zebedee, and John his brother;3 Philip, and Bartholomew; Thomas, and Matthew the publican; James the son of Alphaeus, and Lebbaeus, whose surname was Thaddaeus;4 Simon the Canaanite, and Judas Iscariot, who also betrayed him. When Judas Iscariot fell away, Matthias was appointed in his stead. Acts 2:23 And they appointed two, Joseph called Barsabas, who was surnamed Justus, and Matthias.24 And they prayed, and said, Thou, Lord, which knowest the hearts of all men, shew whether of these two thou hast chosen,25 That he may take part of this ministry and apostleship, from which Judas by transgression fell, that he might go to his own place.26 And they gave forth their lots; and the lot fell upon Matthias; and he was numbered with the eleven apostles. Also Paul was called by God to be an apostle. Barnabas was called an apostle according to Luke, and it’s possible that also Timothy, Judas Barsabas and Silvanus (probably the same as Silas) were considered apostles as well. They were certainly called, and sent forth by Paul to spread the gospel and to perform miracles. Acts 13:1 Now there were in the church that was at Antioch certain prophets and teachers; as Barnabas, and Simeon that was called Niger, and Lucius of Cyrene, and Manaen, which had been brought up with Herod the tetrarch, and Saul.2 As they ministered to the Lord, and fasted, the Holy Ghost said, Separate me BARNBABAS and Saul for the work whereunto I have called them.3 And when they had fasted and prayed, and laid their hands on them, they sent them away. Apart from the first 12, and apart from Paul and Barnabas, we can read from Luke that 70 other individuals were sent forth to spread the gospel and to perform miracles. Luke 10:1 After these things the Lord appointed other seventy also, and sent them two and two before his face into every city and place, whither he himself would come.2 Therefore said he unto them, The harvest truly is great, but the labourers are few: pray ye therefore the Lord of the harvest, that he would send forth labourers into his harvest.—9 And heal the sick that are therein, and say unto them, The kingdom of God is come nigh unto you.—13 Woe unto thee, Chorazin! woe unto thee, Bethsaida! for if the mighty works had been done in Tyre and Sidon, which have been done in you, they had a great while ago repented, sitting in sackcloth and ashes.—16 He that heareth you heareth me; and he that despiseth you despiseth me; and he that despiseth me despiseth him that sent me.17 And the seventy returned again with joy, saying, Lord, even the devils are subject unto us through thy name.18 And he said unto them, I beheld Satan as lightning fall from heaven.19 Behold, I give unto you power to tread on serpents and scorpions, and over all the power of the enemy: and nothing shall by any means hurt you.20 Notwithstanding in this rejoice not, that the spirits are subject unto you; but rather rejoice, because your names are written in heaven. In the above verses it’s clear that these 70 individuals were given much divine power. Not only does Jesus separate people between those who listen to these 70 and those who despite them, but the 70 are also given power to do mighty work like healing the sick. They were more powerful than the enemy – including the spirits from the enemy. With other words, there were no one else who had greater power apart from God and the other 12 apostles, and Jesus told these 70 individuals to pray that the Lord would send forth laborers into his harvest. This seems to be exactly what Jesus had done to these 70 at one point, because he had sent them forth to do mighty work. Matt. 28:1 And when he had called unto him his twelve disciples, he gave them power against unclean spirits, to cast them out, and to heal all manner of sickness and all manner of disease.—7 And as ye go, preach, saying, The kingdom of heaven is at hand.8 Heal the sick, cleanse the lepers, raise the dead, cast out devils: freely ye have received, freely give. In order to not confuse the first 12 apostles with the above 70 individuals (all of them called to spread the gospel by Jesus Christ), it makes sense that ”the apostles” refers only to the original apostles, including either Judas Iscariot or later on Matthias. Also Jesus Christ could actually be called an apostle, because he was also sent forth by his Father to share the gospel with the people on earth. Neither Jesus would be included whenever the Bible uses the term ”the apostles”. Even if the 70 individuals mentioned in Luke 10 had similar tasks as the 12 apostles, it’s only the 12 apostles that will be given one foundation each in the new Jerusalem. The 12 are likely viewed in highest regard because they were the first disciples who remained with him (unlike other disciples as those mentioned in John 6:66), who were taught by him, dined with him, were his close friends, etc. It’s difficult to have 12 + 70 very close and intimate friends, but it’s possible to select 12 individuals and be both a close friend as well as being their master. They in turn could do the same – gather a few people and making them into disciples. Jesus is naturally the one with all the wisdom in the world, but since the first apostles were sent out from him they are also very trustworthy. Jude is therefore in Jude 1:3 exhorting christians ”to contend earnestly for the faith which was once for all delivered to the saints”. The saints were the first christians, and the very first christians were the apostles. If the apostles make sure to adhere to Jesus teaching, and if these apostles make sure to only appoint qualified men to be apostles and pastors, then all would be well in church. Unfortunately Paul (and Peter, John, Jude, etc) also knew that wolves in sheep’s clothing would be entering the church soon after their own departure. In 1 Tim. 5:22 we can read Paul’s warning to Timothy ”Do not lay hands on anyone hastily” (which is the way one officially appoints a presbytery/pastor), because he knew the order of events. Junia is a female name, but rather than being named an apostle it’s more likely that the below verse should be read as though the apostles viewed both Andronicus and Junia as godly individuals of highest regard. Rom. 16:7 Salute Andronicus and Junia, my kinsmen, and my fellow-prisoners, who are of note among the apostles, who also were in Christ before me. If teachers, evangelists and pastors are still active in church today, then so are apostles and prophets since they are all listed together in the below verses. Paul is explaining the church order for the Corinthians and the Ephesians (and for all of us), and it would be strange if he asked ”are all apostles, are all teachers, are all workers of miracles?”, if these functions would soon cease and lose their significance. If apostles would soon be irrelevant in church within one generation, it would be better for Paul to end all confusion by explaining that only the twelve could be considered apostles and that therefore false apostles could easily be detected. 1 Cor. 12:28 And God hath set some in the church, first apostles, secondarily prophets, thirdly teachers, after that miracles, then gifts of healings, helps, governments, diversities of tongues.29 Are all apostles? are all prophets? are all teachers? are all workers of miracles? Based on the above, the order of authority seems to be: God almighty, Jesus Christ his son (Jesus is of course also God, but he is also the son who is sent out), the 12 apostles, other apostles, prophets, teachers, miracles, gifts of healing, helps, governments and diversities of tongues. If the case would be that only the initial 12 disciples could ever be considered true apostles, it would be a breeze to figure out which ones the false apostles are. 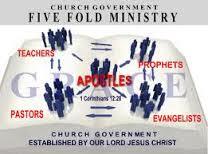 Anyone claiming to be an apostle and not being among the first dozen or more, would by definition be a false prophet. Yet, the Bible doesn’t make this particular distinction between true apostles and false apostles, but it’s rather about being qualified and showing good fruit. We are warned about both false apostles and false prophets – and supposed to look out. 2 Cor. 11:13 For such are false apostles, deceitful workers, transforming themselves into the apostles of Christ.14 And no marvel; for Satan himself is transformed into an angel of light. A true Biblical apostle would also be able to show signs, perform wonders and mighty deeds. Both Philip and Stephen did great miracles (Acts 8:6 and 6:8). Some christians suggest that the holy Spirit and miracles can only come from the hands of the apostles, but the Bible doesn’t narrow it down in that way. The first christians (normally the apostles) had this power, but the amount of christians increased and the holy Spirit could also be received in other ways (by listening to the gospel and having a repentant heart). Acts. 2:38 Then Peter said unto them, Repent, and be baptized every one of you in the name of Jesus Christ for the remission of sins, and ye shall receive the gift of the Holy Ghost. Acts 9:17 And Ananias went his way, and entered into the house; and putting his hands on him said, Brother Saul, the Lord, even Jesus, that appeared unto thee in the way as thou camest, hath sent me, that thou mightest receive thy sight, and be filled with the Holy Ghost.18 And immediately there fell from his eyes as it had been scales: and he received sight forthwith, and arose, and was baptized.